This article will cover some of the common mistakes made by landlords in drafting and serving a three day notice to pay rent or quit in residential tenancies. 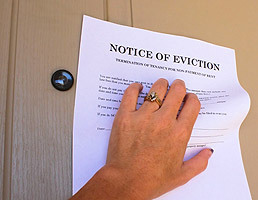 Getting your three day notice right is crucial to a successful eviction of a South Bay tenant that is behind on their rent. If there is a mistake in your three day notice, it may cause you to lose your unlawful detainer case thus forcing you to start all over again. 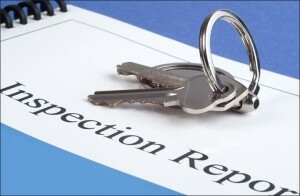 Thus, it is very important for you to try to avoid the common mistakes made by landlords below. The amount of rent you demand from the tenant in a three day notice cannot be more than the exact sum due. Before drafting your three day notice be sure to go through your accounting records carefully to make sure that the amount you demand is accurate. Before serving the notice, it is a good idea to go over your calculations a few different times to ensure you added (or subtracted) all rent payments properly and that you have the correct amount showing on the notice. You should not include late fees in a three day notice to pay rent or quit. Only include unpaid rent in a three day notice to pay rent or quit. Further, you should not include interest, damages, or separate utility charges in your three day notice to pay rent or quit as well. If you include any amounts of money for anything other than unpaid rent your notice will likely be defective and you will have to serve it again and start the process over. You can ask for up to one year of unpaid rent. For example, if you serve your notice on 8/5/13 you can only ask for rent from 9/1/12 through 8/1/13. You cannot use a three day notice to pay rent or quit to demand rent for a period of more than 12 months. This might seem obvious to you, but unfortunately a common mistake by landlords is to have a typographical error in the address for the tenant’s rental unit. The address must be 100% accurate. You also need to ensure you include the zip code in the address. Always triple-check your three day notice to make sure everything is spelled correctly before serving the notice. Typos in the notice may force you to re-serve your notice and start over. Typically, you should name all tenants on the notice that you know are currently living in the property. If you are unsure of the names of the people currently living in your rental unit then you can name the last known tenant. If you have a tenant with a co-signer that does not live in the unit you can name the tenant and the co-signer in the three day notice to pay rent. 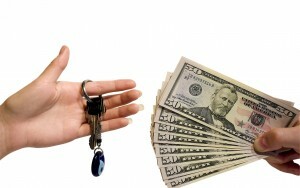 You should first try to serve the notice to pay rent or quit by handing it to the tenant in person at the rental unit. If the tenant is not there and you know where they work, you should attempt to hand it to them in person at work. If your tenant is not at work you can leave a copy with his supervisor and mail a copy to the tenant at his work address. If this fails, try to hand a copy of the notice to another person at the rental unit who is at least 18 years of age and of suitable discretion. If none of these options works, then you may serve the notice by posting a copy on the door and mailing a copy to the tenant by first class mail to the rental unit. If you do not want to serve the notice yourself, you can have someone else do it for you or even hire a process server or an attorney’s office to do it for you. Whomever you choose to serve the notice must fill out a proof of service or declaration of service of the notice. That person should also be available to potentially testify at trial if you are forced to go through the eviction process. If you’re searching for South Bay property management companies to manage your residential property and handle your evictions from start to finish, please consider hiring South Bay Property Management & Sales, Inc. Call us today at (310) 561-8883 or email us here and we’ll be more than happy to help. Most common security deposit refund question and answers for landlords in the South Bay area. Q: What can I deduct from a tenant’s security deposit? A: The refund of security deposits is the most common disagreement between landlords and tenants. 2. Deducting for items that existed prior to tenancy. 3. Charging for normal wear and tear. 4. Failing to pro-rate damage. 5. Failing to give deposit accounting to tenant within 21 days of move-out. 2. Repair of damages to the premises, exclusive of ordinary wear and tear, caused by the tenant or the tenant’s guest or licensee. 3. Cleaning of the premises on termination of the tenancy. 4. To repair or replace personal property, beyond normal wear and tear, if authorized by the rental agreement (i.e. repair furniture in a furnished unit). Q: My tenant destroyed the property when they left and it is going to take longer than 21 days to make all the necessary repairs. How can I do an accounting of the deposit when I don’t know how much it is all going to cost yet? A: A good faith estimate is OK if repairs cannot be completed in 21 days, or services or materials are being done by a vendor and the landlord will not have the invoices within 21 days. You must, however, give a final accounting within 14 days of completion of repairs or receipt of the invoices. Q: Can I really be sued by a former tenant for not sending them an accounting of their security deposit? A: Yes. You must provide a detailed accounting within 21 days of the tenant vacating the premises UNLESS you are refunding the full deposit. You need to provide copies of receipts with the accounting if the costs for cleaning and/or repairs total more than $125.00. Failure to provide the accounting may result in the court awarding the tenant the full security deposit plus twice that amount as a penalty if the court finds that you acted in bad faith. Q: I don’t know where the tenant moved to after he vacated my unit so how can I send them the security deposit accounting? A: All that you are required to do is to mail the accounting to the tenant’s last known address. Thus, if the tenant did not leave you with a new address then the accounting should be mailed to the address of the premises the tenant just vacated. Most tenants will have their mail forwarded by the post office to their new address. If the accounting comes back to you undeliverable, keep the undelivered document in the tenant’s file so that if the tenant ever tries to sue you in Small Claims court, you will have proof that you handled the accounting in good faith. Hire South Bay Property Management to manage your residential or commercial property and we will handle all of this for you, including the refunding of the security deposit. Call us today at (310) 561-8883 or email us here, we will be happy to assist you. (Betty) rented an illegal unit in the South Bay area for 23 years and established a close friendship with the owner, (Joanne). During those many years, Betty spread out her belongings into places that were off limits to her, but Joanne said nothing. Joanne said she didn’t get to the bank until after the middle of the month, so raised no objections when Betty paid her rent after the fifth. Betty wanted a cat and Joanne agreed and before long, Betty had three felines. Also when Betty moved her boyfriend in, Joanne failed to verify his creditworthiness or issue Betty proper notice. Even the minimal terms and conditions detailed in her flimsy lease evaporated over the years because Joanne thought she was happy having a friend live there and contribute to her income. Ignorance may be bliss, and it all came crashing down for Joanne when Betty finally moved out. Betty waited for her security deposit refund (plus substantial interest), but it never came. She wrote a letter to Joanne about 70 days after moving out asking for her refund. In return, she received a letter with a check for only about a third of the amount due and a list of deductions, many of them illegitimate. She wrote another letter to Joanne advising her of the California law on security deposits, the key point being that if a full accounting is not provided within 21 days after vacating the premises, the entire deposit. Additionally, through Small Claims Court, a fine of $500 can also be applied as penalty for failure to act promptly. It turns out that the property owner, Joanne, was totally clueless and admitted as much in her response to Betty. She had no idea that she had 21 days to provide an accounting and no idea where she might go to get information about her responsibilities as a rental property owner. Apparently, she was not aware that her property was zoned as a single family residence and that she needed a Certificate of Occupancy to add a second housing unit to the building for rental. She probably never paid income tax to the State or Fed on her rental income. Joanne’s letter to Betty detailed a long list of complaints about her behavior as a tenant in retrospect. She now regretted doing nothing about all the alleged violations for the terms of the lease (written on standard stationery lease form, missing any of the legal language imperative for a lease. While Joanne didn’t explicitly say so, she also obviously ignored all hose messy details in the many ballot measures and landlord-tenant battles, waged over the years at the Board of Supervisors, assuming that none of it really affected her. She never bothered to appreciate the fact that she really was in business as a rental property owner and that there are many laws that restrict or regulate a property owners. She blindly assumed that these laws protect both renters and landlords equally. Had she only hired an experienced and professional South Bay rental properties management company like South Bay Property Management & Sales, Inc in Torrance she would have been just fine. Please fell free to call us at (310) 561-8883 or contact us here for more information.